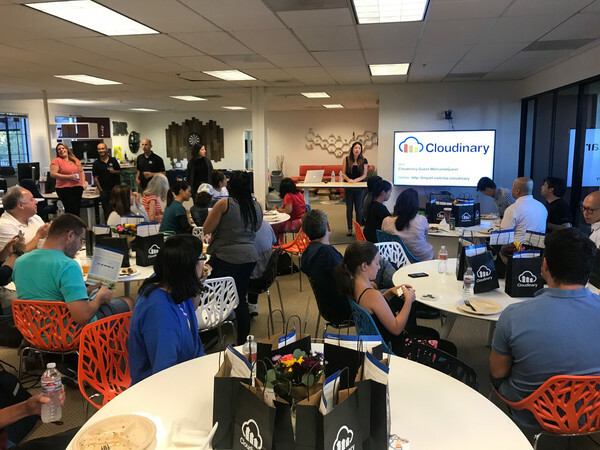 So, when I joined Cloudinary as a developer support engineer in May 2017, I thought it would be great to host Women Who Code at our office and share how our service makes developers lives so much easier. 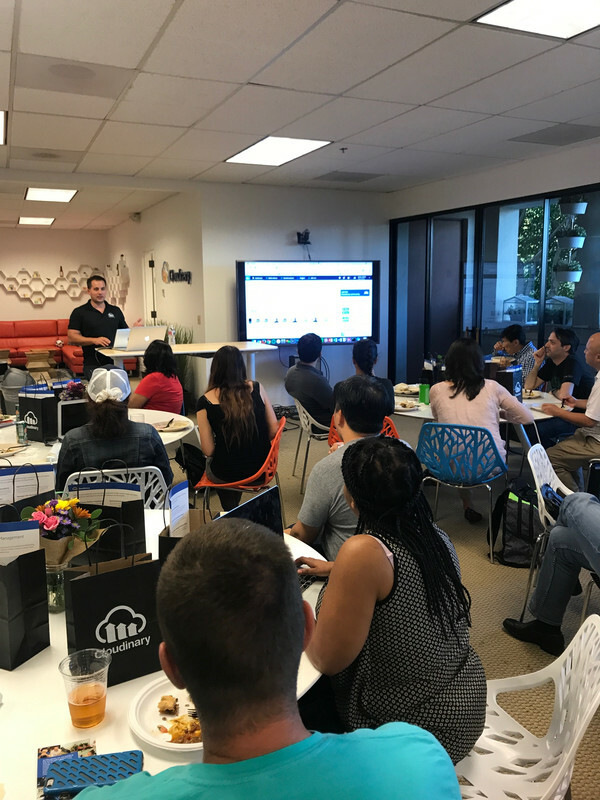 In just a few short months that dream became a reality – we hosted our first such meet-up on August 24 at our headquarters here in Sunnyvale. About 30 developers – who had varying degrees of knowledge of iOS, Xcode and Swift – attended our meet-up. We started the evening off with dinner, drinks and networking, then got down to business. The Cloudinary team taught participants about the differences between images, and explained how we make it easier to manipulate images and optimize them for faster download. After a quick tutorial by Robert Moseley our Director of Solutions Engineer, showing Cloudinary in action improving images and video on-the-fly, participants got hands-on experience building their own working iOS app that included Cloudinary-manipulated images. 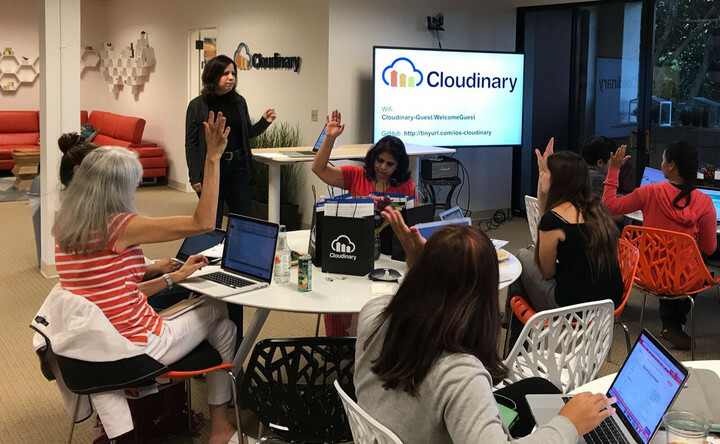 Using Cloudinary in the sample app was so easy that we had time left over to show everyone how to do even more transformations and answer their questions. At the end of the evening, each participant departed with a goody bag, filled with fun swag, like a Rubik’s Cube, camera cover, fidget spinner, bottle opener and stickers. In preparing our fun, educational presentation, our goal was to help developers learn about the importance of optimizing images, and the best ways to do it. I think we succeeded. Since the meet-up, we’ve gotten a lot of positive feedback. In fact, one participant was so inspired by Cloudinary’s ease of use and ability to speed up apps that he is completely updating his app using our service. Given the success of our first meet-up, we hope to host other similar events in the future. Stay tuned!